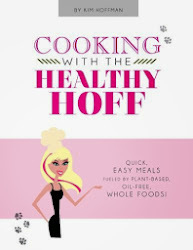 The Healthy Hoff: Pam Cooking Spray Scam! This post was inspired by a lecture given by Jeff Novick, "When "fat free" really means 100% fat." Pam Cooking Spray is Fat Free and Calorie Free, right? The label says it is, so it must be true! Sorry folks, Pam lied to you - how dare she! Pam Cooking Spray is made with pure oil, which is concentrated fat and calories, so how did she get rid of the fat and calories? To give you perspective, .5 grams of this spray is the size of a molecule - a molecule, people! A serving size for Pam Cooking spray is 1/3 of a second of spraying time. Are you kidding me?!? Again, only a super ninja can do something 1/3 of a second! Don't you find it odd that this can has 702 servings?!? And lets be honest, when we get those cans in our hands we turn into graffiti artists, coating the surface until it shines! You can stop yourself from being duped by reading the ingredients label. Because, while the FDA will allow a product to make false claims on the front of the packaging, the back of the packaging has to come clean. Full disclosure, for the most part, with the ingredients label (beware of "natural flavorings"). So when a product claims to be trans-fat free, you'll know better when you see partially hydrogenated oil among the list of ingredients. Observe that this Smart Balance can to the right states that it is "Fat Free", yet it contains the "Right Balance of Fats". Now, I went to college and even I don't get how that's possible. And since when does fat help cholesterol?